Reverse eye front main leaf spring for a speedster. Original accessory, designed to lower the front end on a speedster. Can this reverse eye front spring leaf be used on a 1926-27 speedster? If not, is a reverse leaf available for a 1926-27? It can be used on a 1926-1927 spring but it will not give you the full 1" drop, it will only drop the car about 1/2" from what I understand because of the way that the springs are made differently. How much will it lower the front end by using this reverse eye main leaf. 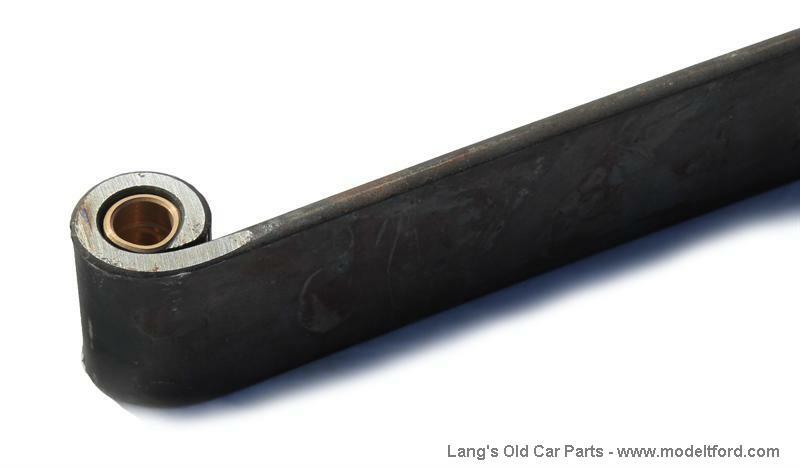 It lowers the front end about 1" for 1909-1925 cars alittle bit less for 1926-1927.